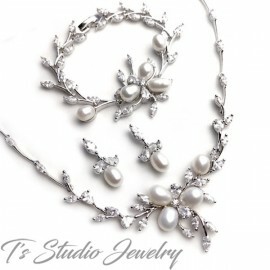 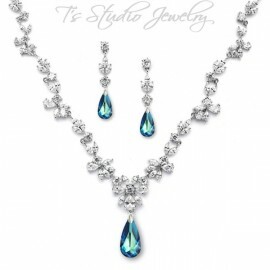 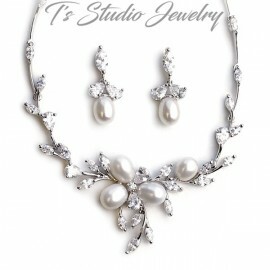 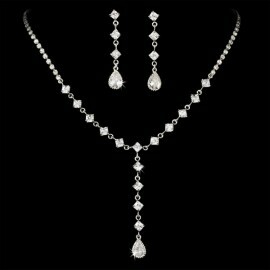 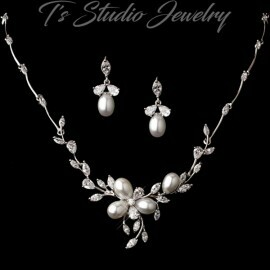 Set in sterling silver, this necklace set is a great addition to any wedding. 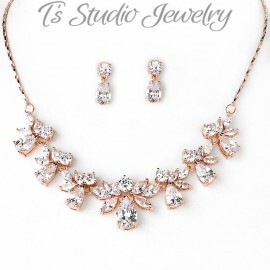 Beautiful marquise cubic zirconias are placed in a leaf petal arrangement making this piece fun and trendy. 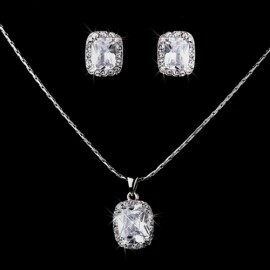 Stud earrings mock the pendant on a smaller scale. 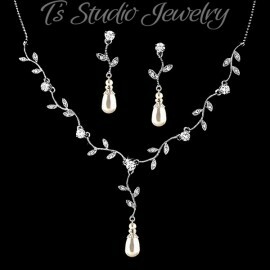 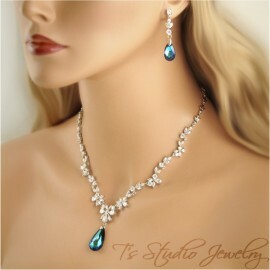 The simple elegance of the piece makes it perfect for bride, bridesmaid, or mother of the bride. 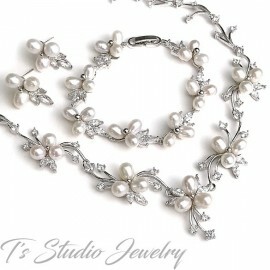 Necklace measures 15 1/2”, with a 1” drop. 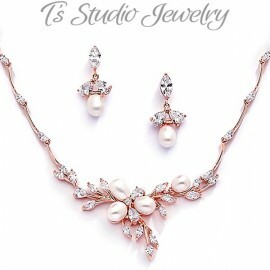 Earrings measure 3/4” by 1/2".